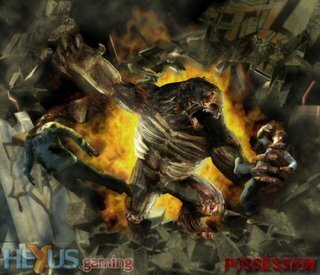 Published by Blitz Games, Possession will be released on the Nintendo Revolution, PC, Xbox360 and PS3. Its being developed on the "flame" game engine and will feature online play for all versions. Up to seven others can join up for battle in online play. The game is an action RTS and lets you pick from Humans or Zombies as playable characters. 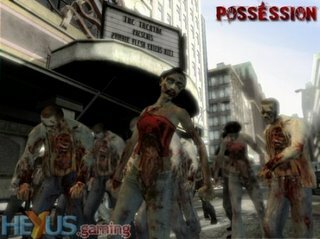 Users can fight as a Warlord and lead an army of Zombies in a bid to rule the planet, or join the humans in stopping the Zombies. At last years E3 the game showed a lot of promise due to the realism and real-time skin degradation in the Zombies. No release date has been set, but as soon as more news comes I will post it. Lots of interest in your blog. For some great new sites, click xbox narnia, xbox, xbox360, xbox 360, xbox game, xbox360 game, xbox 360 game, xbox gold pack, xbox 360 gold pack, xbox 360 premium gold pack mega sports bundle video game system, xbox 360 core console video game system, xbox narnia.